Posted on July 6, 2015 at 2:32 pm. All Slots are offering pokie players the chance to win a share of over $100,000 in their new Passport to Riches promotion. From July 5 to August 1, players can win up to $150 each week just by making a deposit at AllSlotsCasino.com and getting their passport stamped. To participate and be eligible to win every week for four weeks, players need to deposit at least $50 for that week. Additionally, players who regularly participate in the promotion will have the chance to be in the running for two draws amounting to $20,000 in prizes. At the end of each week players are awarded with cash depending on how many stamps they received on their passport. Players receive stamps by depositing $50 and playing their favourite casino games. If you play every day of the week you will receive more stamps and have more chances of winning. Simply enter your username to see how many stamps you have on the promotional page. The bonus is credited to your account the following day of each promotional week’s conclusion. For players who do not operate on GMT do a simple Google search to find out the time difference so you qualify for the correct promotional period. Additionally, players can receive extras after gaining their second and fourth stamps, including extra loyalty points when playing any casino game at All Slots, as well as free spins for making another deposit. All you do is login, go to your account and they will be waiting for you. On both July 19 and August 2, a draw will take place with $10,000 worth of bonuses on offer for each. To earn your place in the draw, simply play as much as you can for the first two weeks for the July 19 draw and the second two weeks for the August 2 draw, in order to earn as many stamps as you can. This will instantly put you in the draw to win for each draw. What casino games can I play in this promotion? Players can play any of their favourite casino games, but being pokie enthusiasts we have listed a few new Microgaming slots worth checking out in order to earn your stamps and win. These slots also offer three times the loyalty points whenever you play them at All Slots meaning you can earn loyalty points quickly while aiming to win passport stamps. Following the baddest cowgirls in the Wild West, this latest slot from Microgaming offers 25 paylines over 5 reels and up to 25 free spins on offer, with re-triggers available. Players also are treated to a unique feature where you can shoot nine targets to win big. This is an interesting take on the many Wild West pokies available. Originally by Rabcat, the recent partnership between them and Microgaming has seen a number of 3D slots rolled out on the Quickfire platform, including this one. We follow Zeus, Ares, Aphrodite, and Poseidon on a quest to defeat Hades. There is a two stage feature that sees bonus symbols determining the size of your reward, as well as up to 14 free spins on offer. There is also the Gamble feature for those who enjoy Microgaming’s infamous, but risky, add on. 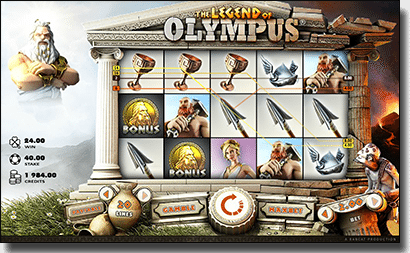 This 25 payline slot includes the intriguing Dashing Wild feature which sees Wilds dashing around the screen to turn a non-winning payline into a win. There is also an intriguing bonus round where you open three doors over three levels to reveal how many free spins you win, along with what Wild feature and multiplier you receive for these free spins. There are up to 30 free spins to be won too, so it is definitely worth checking out. Kitty Cabana is exactly the same as Hound Hotel in terms of the Dashing Wild feature, but it features felines rather than canines. The Bonus round is also similar in that players open three doors to reveal free spins, the Wild feature and the multiplier that will be attached but there are only 24 free spins on offer on this slot, so perhaps Hound Hotel is a better fit especially since both include a multiplier of up to 6x too. Regardless, if you do prefer felines this is still a worthy contender. Sign up for an account and win your share of the $100,000 in cash prizes at All Slots Casino, a highly recommended pokies site for Aussie real money players..